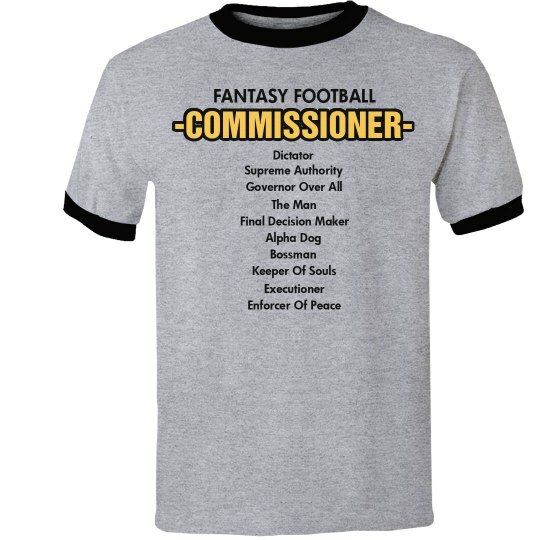 As the commissioner of your fantasy league you control everything! You are the bossman, the executioner, the top dog among other things. Show off your authority with this cool & creative tee.